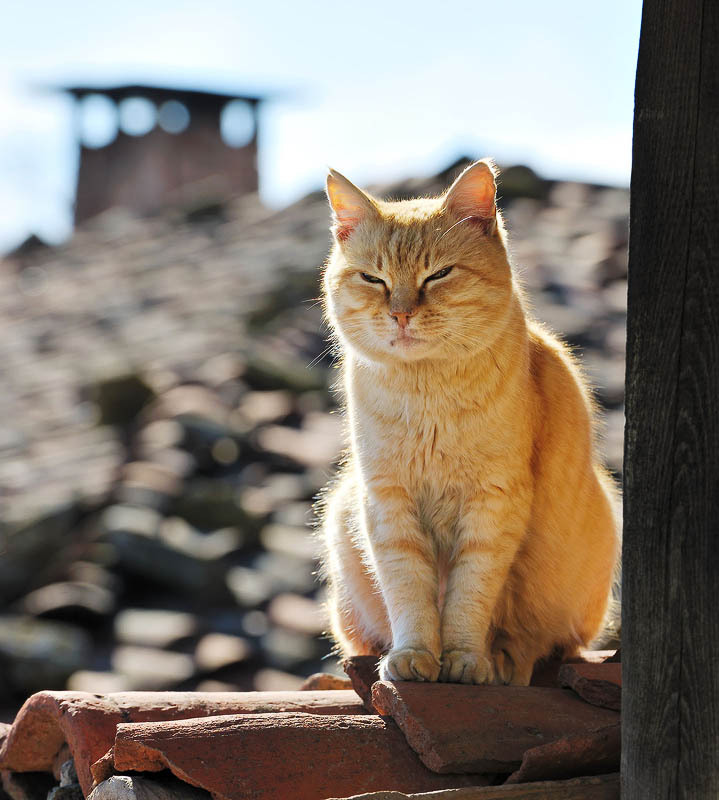 Scenery of big tom-cat on background of tiled roof with chimney. Domestic pet animal. Cute male cat. Pretty kitty, kitten, pussycat.